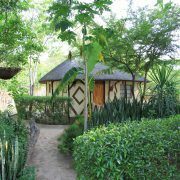 This selfdrive4x4 short trip has as start and end Kasane in the north east of Botswana. From Kasane, you can quite easily travel to Victoria Falls in Zimbabwe or Livingstone in Zambia. Both places lie at the Victoria Falls. Flights to and from Kasane are available (direct from Johannesburg). You can also fly to Livingstone and Victoria Falls airport. On this 11-day trip, you’ll visit the Chobe National Park, Savuti, Moremi Game Reserve and Makgadikgadi Salt Pans including Kubu Island. A beautiful and very adventurous self drive holiday. The 11-day trip can be combined with another travel component in e.g. South Africa or Namibia. 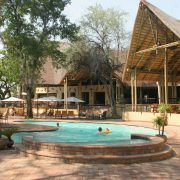 Optional is to cross the border with Zimbabwe and stay the last two nights in Victoria Falls. Including support and professional safari travel advice. Including GPS use with the latest version of Tracks4Africa software and all 4×4 tracks, way points and destinations for your journey. Optional a complete Zero Excess insurance incl. glass and tires. Lonely Planet travel guide and clear Reise Know-How maps. A perfectly planned travel itinerary with ideal travelling distances. The first day of your self drive tour through Botswana. Upon arrival you will meet our partner of the car rental company for a transfer to the depot and for an extensive instruction and handling of formalities. Optional is to make a sunset cruise on the Chobe River. 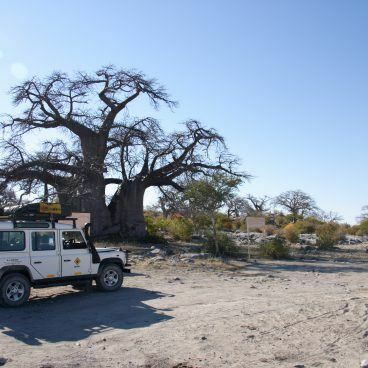 The second day of your stay in Botswana, driving the 4×4 car to Elephant Sands, Nata. 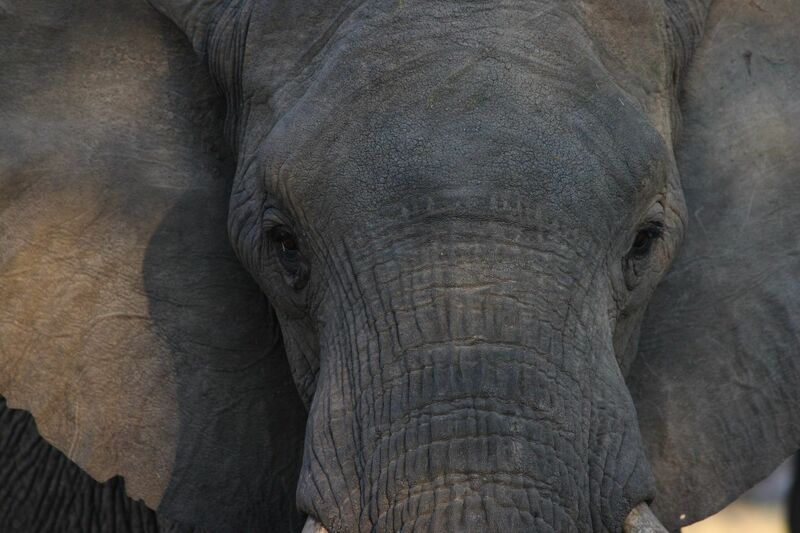 In the morning there is still time to make a game drive at the Chobe River. 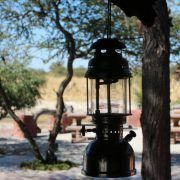 From Elephant Sands your trip continuous to the south, to Nata on the edge of the Makgadikgadi Salt Pans. After a dusty and adventurous ride on tracks through the bush you arrive at Kubu Island in the Makgadikgadi Salt Pans of Botswana. 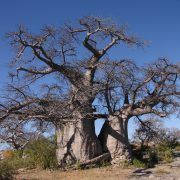 The dusty journey will be rewarded with Kubu Island, a rocky island full of magnificent baobab trees. The camp site is simple and located near the island. On foot you can explore Kubu Island and enjoy the wide views and beautiful sunsets. In the early morning, there is time to explore Kubu Island. Then you cross the Ntwetwe pan towards Gweta and Maun. 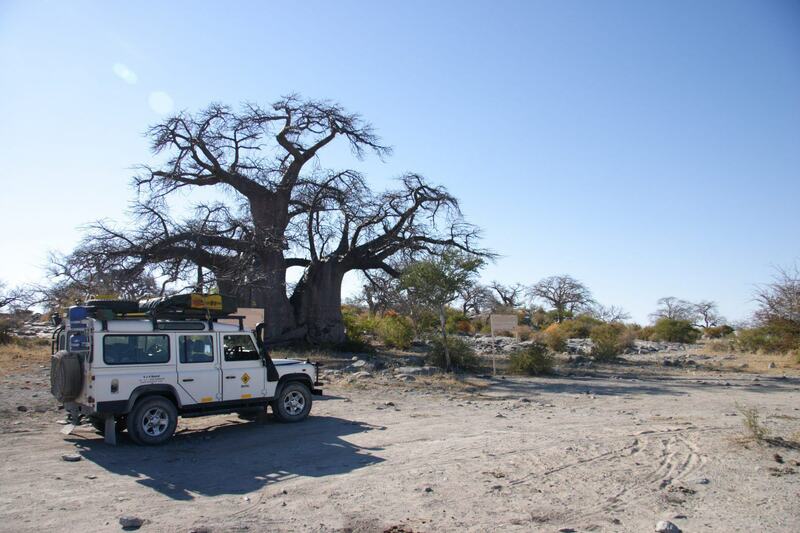 This ride is definitely one of the highlights of this 4×4 self drive trip through Botswana. Around noon you’ll arrive in Gweta, time for lunch and a quick stop. The route from Gweta to Maun is a tarmac road. In the morning there is time to do some shopping in Maun. 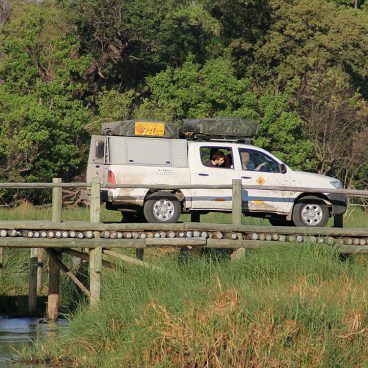 Then the selfdrive4x4 safari continuous to the Moremi Game Reserve and the Third Bridge Camp on the edge of the Okavango Delta. 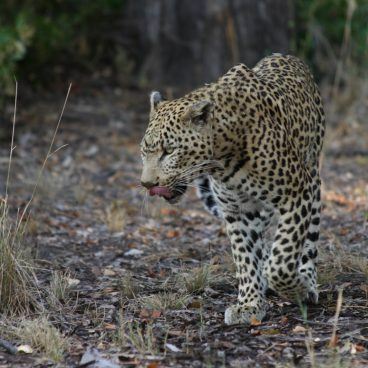 Soon, this day is dedicated to game drives and spotting the many safari animals living in the Moremi Reserve. There’s a good chance of seeing lions, hyenas and leopards and of course elephants and antelopes. 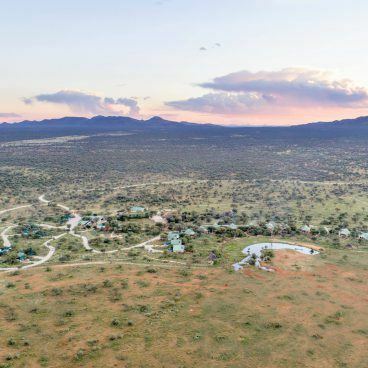 The camps in the parks of Botswana are not fenced and the various animals will also be overnight and during the day in the camp. 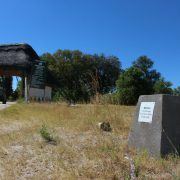 After the morning game drive your journey continuous through the Moremi Game Reserve to the second camp, Khwai (Northgate). 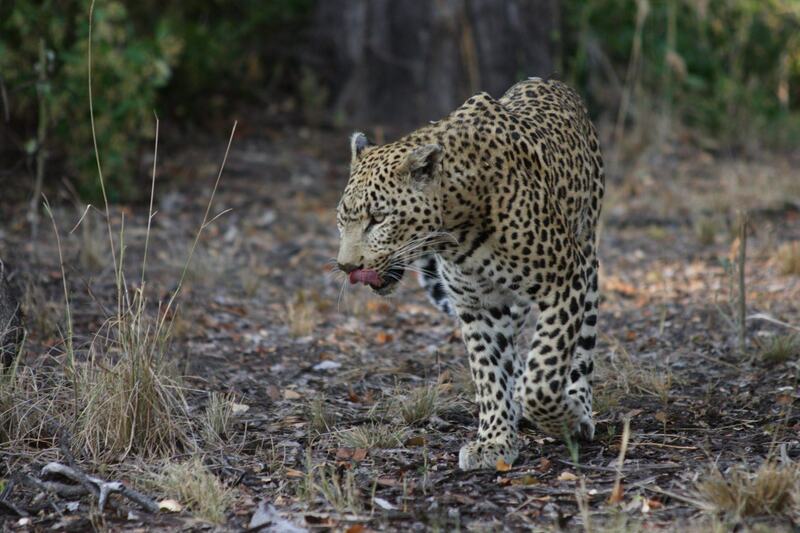 This day is completely dedicated to game drives and spotting the many safari animals living in the Moremi Reserve. 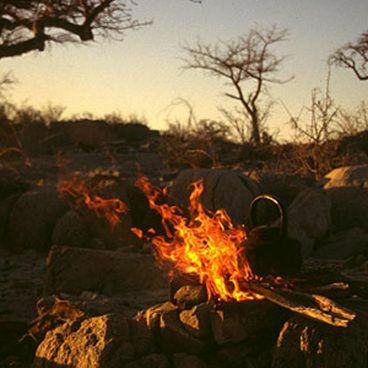 During the afternoon you will arrive at Northgate and the Khwai campsite. 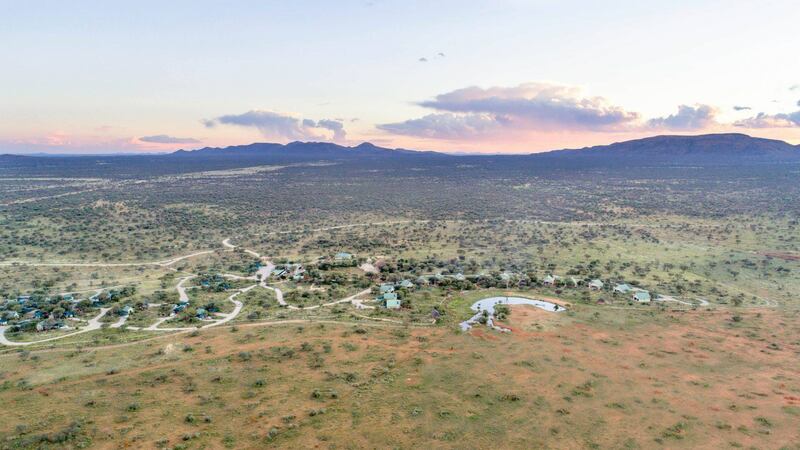 After building up the camp there is time to relax and make an evening game drive along the Khwai River. The 4×4 trip into the Moremi Game Reserve Khwai to Chobe Savuti is one great game drive where you will see many animals on the move. The advice is to start early and make a game walk around Northgate camp before the journey continues to the Chobe National Park. 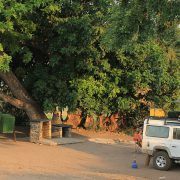 During the afternoon you will arrive at the Savuti Campsite. 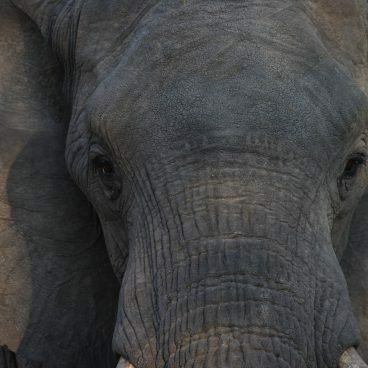 This part of Chobe is famous for its Bull elephants and the Savuti Pride (pride of lions) which lives in the Savuti Marsh. The Savuti Channel which runs through the area and empties into the Savuti Marsh has been dry for many decades but for some years water flows in again. In the afternoon there is sufficient time to do an extensive game drive and to further explore this particular area of ​​Botswana. 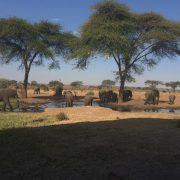 After Chobe National Park, Savuti you’re traveling now to the northern part of the Chobe National Park. During the afternoon you arrive in Ihaha. Two full days leisure time in Kasane. It’s possible to make a day trip to the Victoria Falls in Zimbabwe or drive around a full day in the Chobe National Park. Optional is not to make a day trip to the Victoria Falls but stabbing the border with the car and stay for two nights in Victoria Falls. Sometimes these costs are not included in the trip. A day off in Kasane. A good day to go on a tour to the Victoria Falls! The last day of the trip. After you have returned your car it’s time for the return flight home or to another location. It is always possible to adapt this journey to your personal wishes. Limiting the journey or adding an extra destination, is no problem at all. The default car is a Toyota Hilux 4×4 double cab 2.4 Diesel. The Toyota Hilux double cab is the most perfect 4×4 rental car for a self-drive safari in Africa. Zowel voor 2 als voor 4 personen is de Hilux double cab de beste keuze. Available for both 2 and 4 people, the Hilux is the best choice. 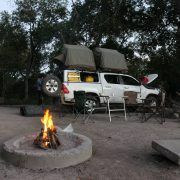 For travels with 5 people (two adults and three children) the Hilux double cab can also be used. If you’re with just two people, the back seat is especially useful for photo bags, day packs and supplies. It has much space and comfort, and has sleeping places in the roof tent. This Toyota Hilux Double Cab 4×4 has a separate boot where you can safely store your travel bags, together with all the camping equipment for your self-drive journey in Southern Africa. It is possible to upgrade car at extra costs. See all our 4×4 rental cars. Prices per person for various dates in 2019 and 2020. 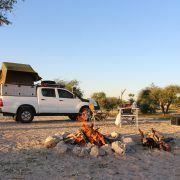 This Botswana 4x4 safari is available for 2 to 4 people per car. The default car is a Toyota Hilux 4×4 double cab 2.4 Diesel. The price for 5 people or more can for example be requested and depends on the local possibilities and space in the preferred car. 4×4 cars (Land Cruiser or 4×4 camper) other than the default 4×4 car are available upon request. Optional CDW (Zero Excess) insurance incl. tires and glass € 275,- per trip.